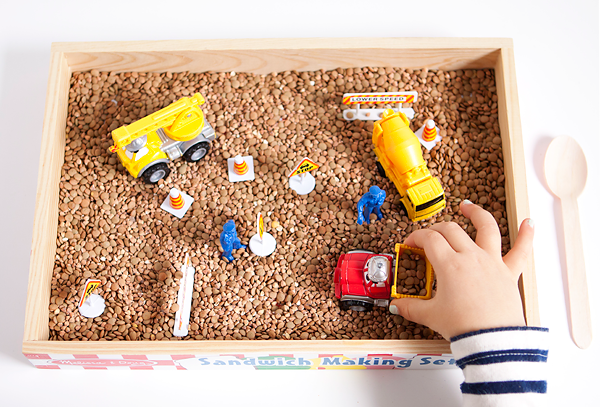 This winter is proving to be a long one, and while we would like to be hanging out at the park in the sunshine, and playing in the sand, well the sand is currently covered in snow. 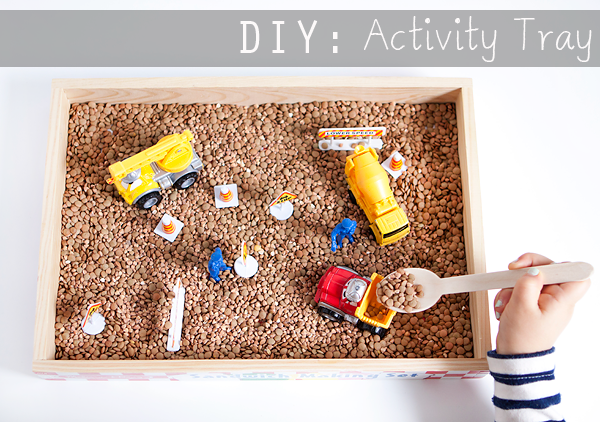 We’ve been trying to be creative to keep ourselves entertained over at our house, so we decided to pull out the activity tray we made. 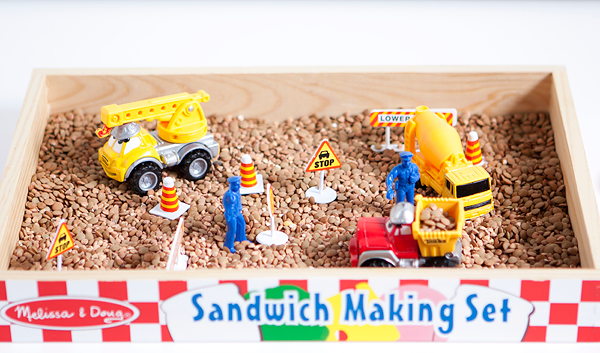 For the full tutorial and step by step instructions on how to make your own construction site activity tray, head on over to my latest post over on Hellobee.